Even more interesting is the dung beetle’s navigation system. 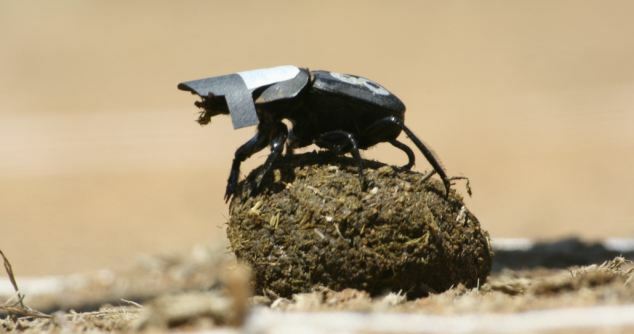 After rolling a fresh poop ball, the beetle will climb on top of it and dance around, orienting itself. Scientists theorized that the beetles were actually using the Milky Way to orient themselves and navigate. They tested this theory on one species of African dung beetle by putting little hats on them that covered their eyes. The beetles still perched atop their poop balls to try and orient themselves, but were only able to wander around aimlessly without being able to see the stars, proving that they were indeed using the heavens to navigate. So give the dung beetle some credit — they’re probably much more intelligent and complex than you ever imagined.